I knew the existence of sudachi soba on twitter this summer. I couldn’t think it’s tasty, but sudachi soba’s picture attracted me. I wanted to try it , no matter what it takes. 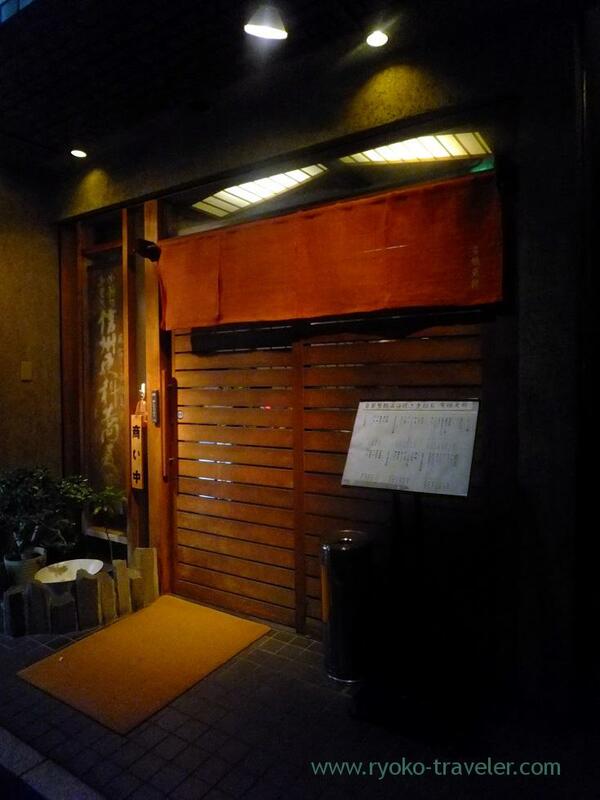 After all, I went to the soba restaurant in Tsukiji just after working. They said they’ll keep serving sudachi soba until the end of this September. But they might quit serving it earlier if the weather is going to be colder than they have expected,. Sudachi soba is summer special. It cool our hot bodies. 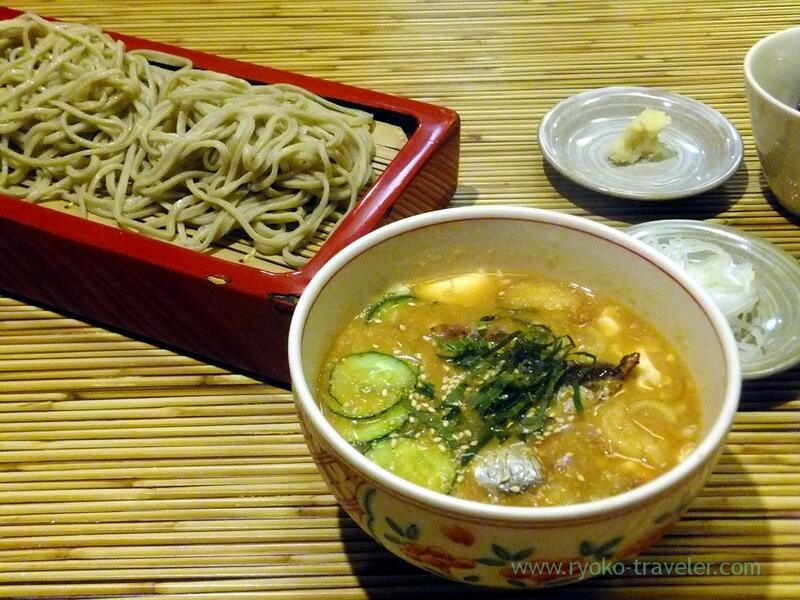 Tokyo have about 10 restaurants that serve sudachi soba. This’s the cold Sudachi soba (冷やしすだち, 1130 yen) ! I thought it taste sour when it was served, but it wasn’t too sour and the fresh flavor of sudachi is comfortable. The soup itself was cold, so it had much salt. You should not drink it up. 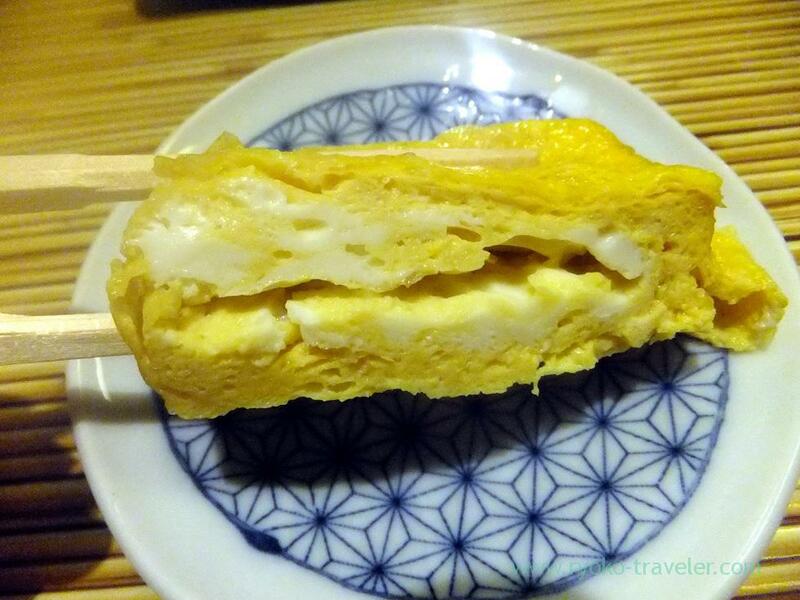 And tamagoyaki (玉子焼き, 950 yen). It’s divided into four thick pieces. My friend ordered this. 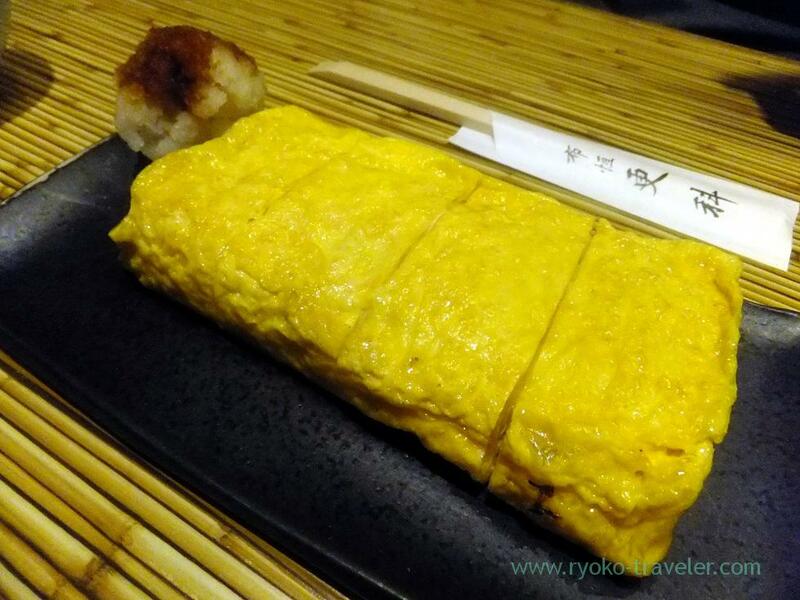 Hiyajiru with horse mackerel (鯵の冷汁, 1620 yen). As same as sudachi soba, it is also limited summer . I think they might quit it earlier than sudachi soba. Just because. It was stronger sesami flavor miso soup, unlike sudachi soba. Hiyajiru … is Miyazaki’s local food. Originally, they used to put their rice on iced miso soup. Grilled dried horse mackerel, cucumber, myoga, tofu and so forth in it 🙂 There’s no rice. 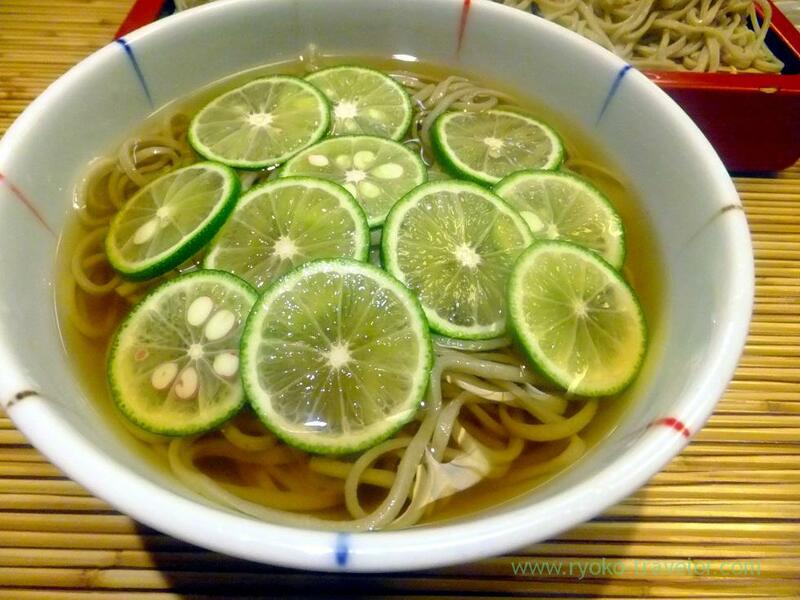 Instead of rice, dipping soba into it. 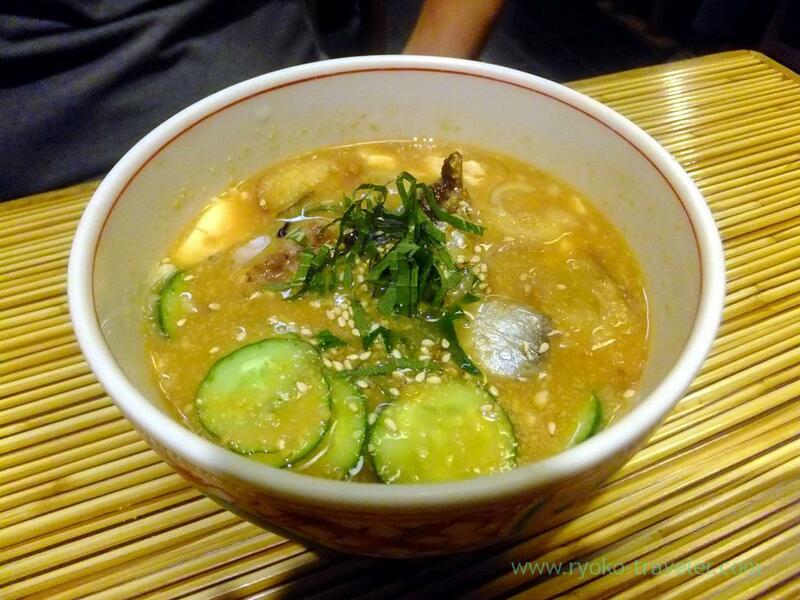 By the way, Nunotsune Sarashina serve warm Sudachi soba all year around. I wanna try it, too !